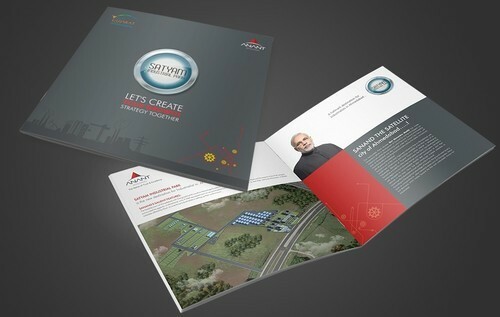 Our organization is recognized in the industry for providing a superior quality Creative Brochure Designing Service. Our technological excellence helps us in rendering the best quality designing with the aid of advanced techniques. We render these services as per the set industrial norms to meet the diverse requirements of our clients. Our offered services are stringently examined at each stage on various parameters of quality by our experienced professionals. Established in the year 2015, in Ahmedabad (Gujarat, India), we “Kasana Media”, are a reliable service provider, engaged in proving Packaging Box Designing Service, Corporate Identity Service, Website Development Service, Software Development Service, Mobile Application Development Service, etc. These services are provided under the direction of knowledgeable and experienced professionals using advanced technology. We have hired our team on the basis of their experience, qualification and knowledge in the domain. With the help of our trained professionals, we firstly plan and provide these services as per the need specified by our clients. These services are highly appreciated among our clients for their features like reliability, client-focused approach, hassle free management, cost-effective, excellent quality and timely execution.